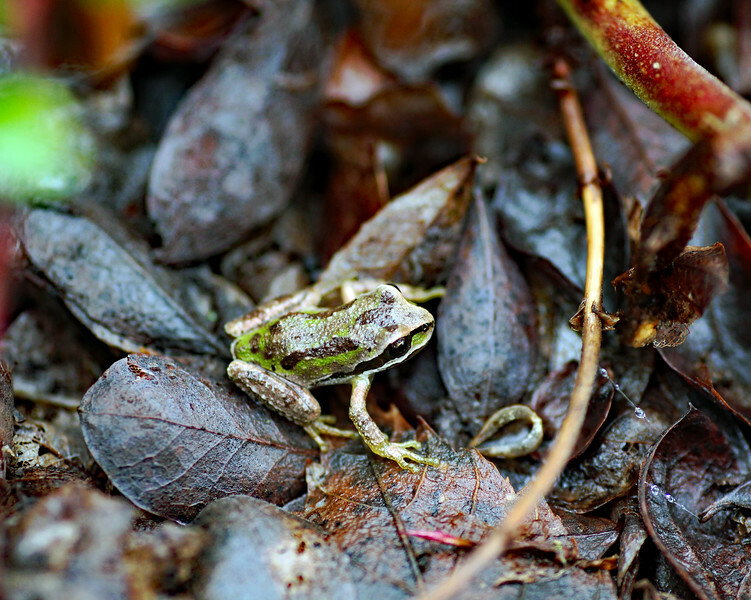 After the snow and ice melted, I was walking through the woods, when I came upon this tiny frog. It was so small I wondered if it was a baby. It blended in with the environment and stopped to observe me as I fumbled reaching for my camera. It made me pause and think about how it survived during the snow and ice recently as I stayed inside my warm house. Starting from an egg in the water... to a tadpole... to walking on land...amazing little amphibians.